The Economic and Financial Crimes Commission (EFCC) has arraigned former Minister of State for Industry, Trade and Investments, Kenneth Kobani and Samuel Okpoko for money laundering. Kobani, who is Secretary to the Rivers State Government (SSG) and Okpoko were arraigned before Justice B. Bilikisu of the Federal High Court, Port Harcourt on a six- count charge for laundering N750 million. A statement by the EFCC said the defendants were arraigned in court for collecting N750 million from a new generation bank on the eve of the 2015 general elections. 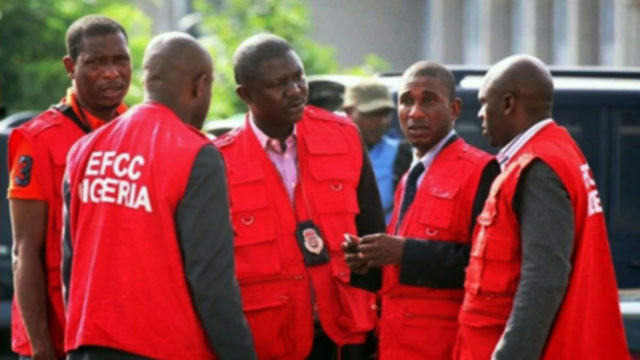 The EFCC claimed that the money was part of the $115 million involving former Minister of Petroleum Resources, Diezani Alison- Madueke, politicians and officials of the Independent National Electoral Commission (INEC). The anti-graft agency and Madueke allegedly collected N50 million out of the money, while Okpoko allegedly collected the remaining N700 million. When the charges were read to them in court, the duo pleaded not guilty to the charges. Prosecution counsel, C.A. Okoli, told the court that he was ready for trial and prayed that the defendants be reminded in prison. However, the lead defense counsel, C.A. Okala (SAN) sued for the bail of the defendants. Justice Bilikisu, therefore, admitted the defendants to bail with N50 million and a surety each in like sum, and adjourned the matter to between June 4 and June 8, 2018. Meanwhile, a presidential aspirant and former Deputy Director of Central Bank of Nigeria (CBN), Professor Kingsley Moghalu has advocated for the independence of the EFCC, stressing that corruption could not be fought with government’s control of the EFCC. Moghalu, who spoke at a Town Hall meeting with youths and other stakeholders in Plateau State yesterday, said the only way to fight corruption was to ensure the anti-graft agency’s independence. His words: “If elected President, I will ensure that EFCC operates without any interference because corruption cannot be fought while being controlled by government. The EFCC needs to be free from undue interference.“The political party of yesterday is still the party of today with the same people and the same idea. The idea of looters’ list is strange and politically motivated.